Civilised Bodies? – A Workshop on Classical Sculpture and Civilisation from Antiquity to the Present Day, sponsored by the UCL Centre for Research on the Dynamics of Civilisation. A Workshop on Classical Sculpture and Civilisation from Antiquity to the Present Day, sponsored by the UCL Centre for Research on the Dynamics of Civilisation. The workshop will take place at UCL on 26th June 2015, running from 09.30-18.30. It will be in Room 106, located in the Department of Greek and Latin, Gordon House, 29 Gordon Square, London WC1H 0PP. To view the location on google maps, click here. Although the workshop is free, registration is required. For more information click here. This event is free but registration is required. Please click here to register. If you have any questions, please contact the workshop organisers, Julietta Steinhauer (j.steinhauer@ucl.ac.uk) and Alexander Wragge-Morley (alexander.wragge-morley@ucl.ac.uk). 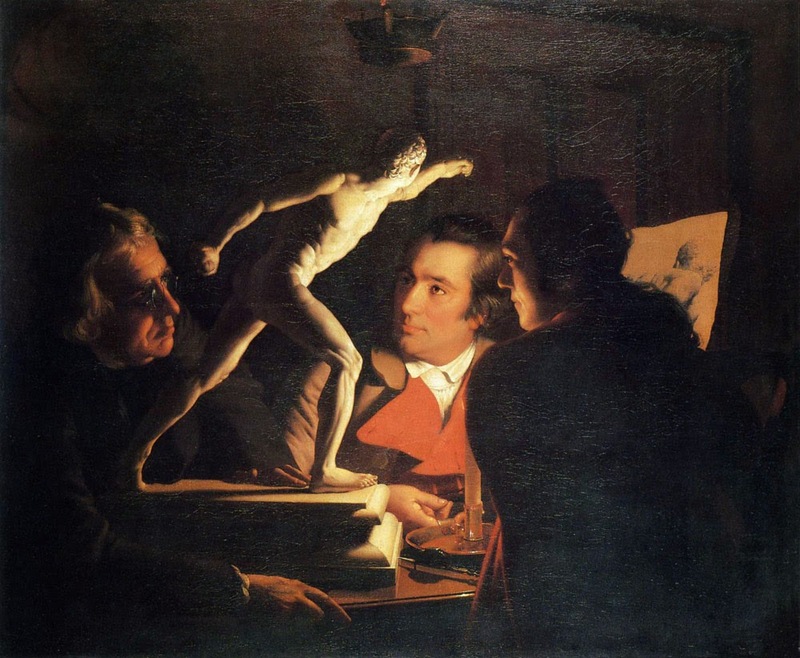 Image: Joseph Wright of Derby, Three Persons Viewing the Gladiator by Candlelight (1765).